50 sleeve pack. 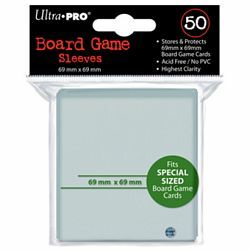 High clarity square shaped sleeves that hold Board Game cards up to 69mm x 69mm. Acid free, no PVC.